Beware the Well Worn Theme! I have just received yet another rejection from Woman's Weekly telling me that they like my story but that it has a 'Well Worn Theme'. I have sent them many stories about all sorts of things but despite three sales to them in the past, I am still not hitting the mark. This is timely, as on June 7th, the magazine is holding a day's workshop and I have booked myself onto it (along with fellow West Sussex Writer and blogger Tracy Fells). Maybe they will let us into the secret of which themes are 'well worn' and which have had just one careful owner. Seriously though, the day looks great with talks from fiction editor Gaynor Davies, serial writer Susanne Ahearn (very interested to hear her) and Literary agent Laura Longrigg. As well as the talks there will by a chance to hone your own writing skills. Also, If any of you like writing short 'twist in tail' stories, I have had an email from Woman's Weekly requesting one page 1000 word stories of this type. Unfortunately, I prefer to writer longer stories but if this is your thing then this is what they are looking for at the moment. Luckily my two rejections were countered by two more sales to PF so I won't be needing to wear the T-shirt this week! Okay, so I come home from a weekend of Jive dancing on Hayling Island to find I have two more stories accepted by the lovey People's Friend (the good) but then my computer breaks (the bad). As writers need computers I have no option but to empty my piggy bank and buy a new one. How do I do this? Do I read reviews to find out which is the most reliable, easy to use computer or do I drive to Curry's and try out all the keyboards before making a decision based on the fact that I rather like it's snazzy blue colour? Anyone who knows me, will know that I did the latter. What worried me, though, is the words I tapped out on each keyboard... There are two things that you should know. I am at a loss as to why I wrote this on every computer screen - any psychiatrists out there? My new computer is lovely, blue and shiny... it also has Windows 8 (the ugly). Please could someone tell me what is going on there. I am in an alien territory of weird Apps more suited to an iphone. Why is it that Microsoft feels the need to fix something that isn't broken only to make it unusable! Luckily my clever husband has found some software that can be put on to turn it back into something that resembles Windows 7... phew! Oh and after struggling with the new computer, my old computer decided to work again! Now that rant is out the way, I can tell you all that we had a fantastic weekend of dancing. The event took place at the Warner Village on Hayling Island. There were dances Friday, Saturday and Sunday night and dance workshops every day. The food was fabulous - so much so that despite the exercise, my husband and I have both put on weight! It seems strange that my dance weekend coincided with the publication of my dance weekend story It Takes Two to Tango in Fiction Feast this month. For anyone that has read it - no, there was no sultry dance teacher called Mateo Sanches! Today, I would like to welcome the lovely Della Galton to my blog. Mention the name and it is impossible not to think of her wonderful magazine stories but Della is also a novelist, and a journalist; not to mention the agony aunt for Writers’ Forum. She has been writing and getting published for over twenty-five years (so I guess she must have started when she was five!) 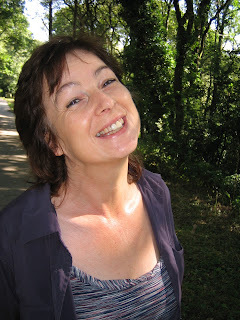 When she is not writing she enjoys walking her dogs in the beautiful Dorset countryside where she lives. Her hobby is repairing old cottages, which is lucky as hers is falling down. 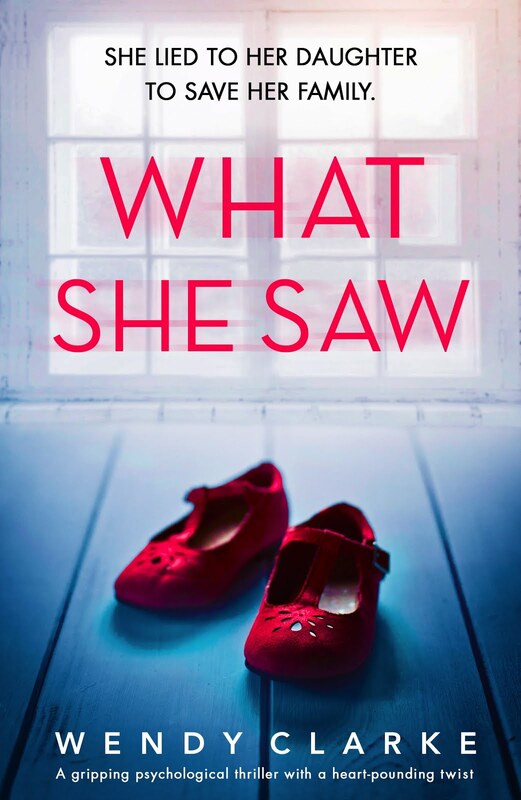 Della is talking to us today about her transition from short story writing to novels but before she gives us her words of wisdom, I couldn't resist asking her a few sneaky questions. Wendy: What is the biggest writing mistake you have made? 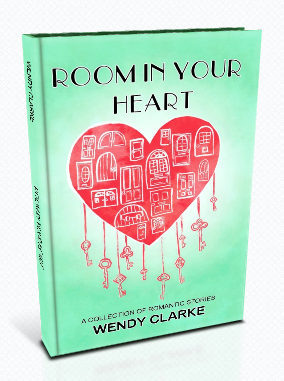 Wendy: What is your top tip for a new writer? Della: If you want to sell, especially digitally, get into social media: blog, Facebook, Twitter and anything else you can think of and have a marketing plan - it really does work. (If you're really, really new and you haven't got as far as being published, then just write what you love, write with passion and write from the heart.) Oh and join a writing class with a good tutor who knows what is being published now. Wendy: Finally, Della - as a writer, is there anything that you would have done differently? Della: What I'd have done differently is I'd never have shown agents or publishers work that wasn't complete - because as a consequence of doing this I have two half finished novels - I was put off writing them - and a half finished novel is useless. At least you can edit and rewrite a finished one. Brilliant. Now for the proper writerly stuff - over to you! 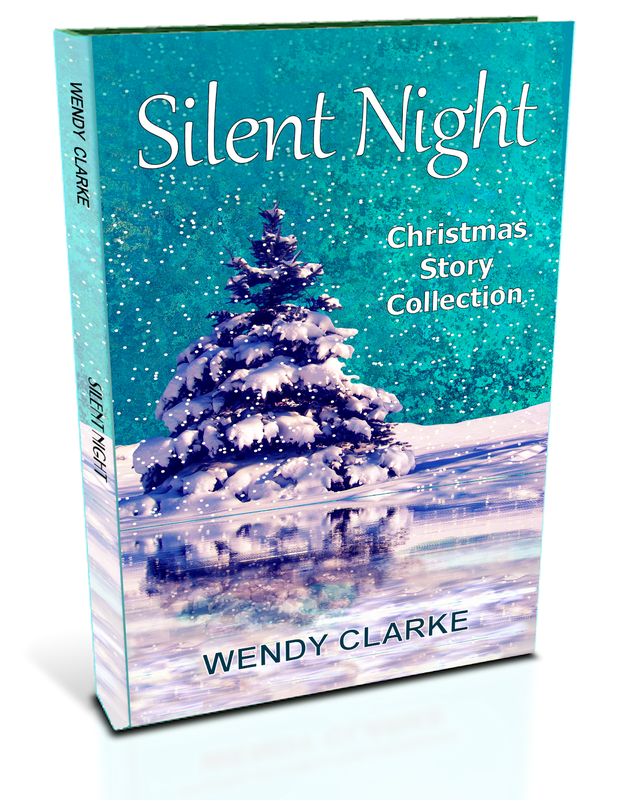 I began my writing career with short stories, as many writers do. I remember being told by my tutor at the time that short stories were a good place to start. I could learn the skills and techniques of creative writing, and, if ever I wanted to write something longer, having a background of short story writing would stand me in good stead. I think she was right. It’s as true today as it ever was that whatever writing you do, whether it’s writing letters, non-fiction, a blog, or even writing a personal diary, the act of putting words on paper will help you to hone and develop your skills. However, writing a novel was not just about, as I had once thought, producing more words! Although that is, of course, one of the things you have to do. There are several other differences. Pace was the thing I found hardest to get right when I began to write longer fiction. So how does pace differ in short and long fiction? A short story unfolds faster than a novel does – right? Well, yes, but it’s not quite as simple as that. There are some very fast-paced novels out there and there are some very leisurely paced short stories. Maybe the easiest way to show pace is via some examples. And where better to start than the first page? She’d never seen him so nervous. “Spit it out, George.” She grinned encouragingly, but it didn’t seem to help. “Yes.” What was he doing? She’d thought he was going to excuse himself, but instead he seemed to be disappearing under the table. His voice was strangely muffled. She peered across at the space he’d vacated. He seemed to be grappling for something on the floor. Had he dropped his fork? Suddenly he surfaced, his glasses were askew, but he’d obviously found what he was looking for. Three months wasn’t quite a while. Not in her book it wasn’t. She’d actually been trying to cool things down a bit – he was a nice guy, but they didn’t have quite as much in common as she’d thought. Oh no. She had a sudden flash of foreboding. Surely he wasn’t about to… He couldn’t be… Now he was edging along the carpet on his knees towards her. His trousers made a shuffling sound, but it was probably exaggerated because the rest of the restaurant had gone so quiet. The restaurant drew in its collective breath. He had heat in his cheeks. His ineptness made him seem extra vulnerable, extra gawky. This story begins in dialogue, in the middle of a conversation, in fact. It’s clear from the outset what’s happening. The title is a bit of a clue! The setting is a restaurant although it doesn’t matter where. George is proposing to a less than keen Kay. The style is gentle humour. The story bounds along in dialogue. The main hook being is she going to say yes or no? I think we know the answer to that already. Although this could be the beginning of a novel, it’s not so likely to be a novel; it’s a little too brief, a little too linear, a little too lightweight. The first thing she noticed was the tinny metallic taste in her mouth. And then came the thirst. The thirst was so bad it had got into her dreams and forced her awake. No, not awake, aware – a slowly growing awareness which was coming, sense by sense. Like sound. She could hear an echoey blur of footsteps and voices, which rolled in and out of her head. Closer by, something electronic beeped. Beep, beep, beep – steady and rhythmic – beep, beep beep. Where was she? She opened her eyes and was hit by a wall of light. She shut them swiftly. She felt as though she was made of crystal, cool and brittle. She was a thin glass person who could be shattered by the slightest touch. After a while she tried opening her eyes again. This time the room swam in various shades of light, but she managed to squint long enough to focus. To her left was a tall metal stand with a clear bag of fluid clipped to the top. To her right was some kind of machine, which seemed to be the source of the beeping. Close to her cheek was the edge of a thin blue woven sheet, but it felt more like a tablecloth than a sheet. She shifted a little to get away from its roughness and her head spun. “So you’re awake then?” A blurred face leaned over her. She made out red lipstick, a thin line of a nose, kind eyes. This is very different. It is not immediately clear where our main character is – we are deeply in her viewpoint and she doesn’t know where she is, so the reader learns of her surroundings slowly, as she becomes aware of them herself. By the end of the first page we can work out that she’s in intensive care in hospital, but this only brings up more questions. Who is she? Why is she there? What is the matter with her? This is how it should be with a novel. Each question you answer should raise further questions. 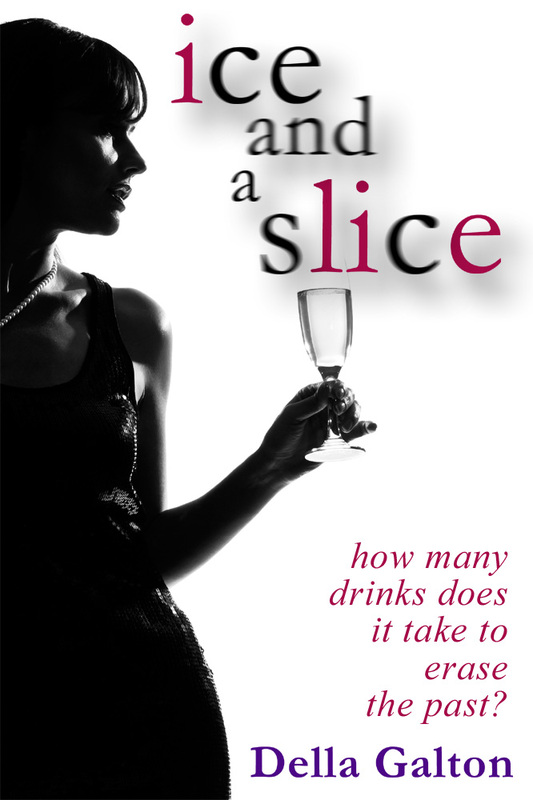 If you would like to find out what happens to SJ, my main character, and how this story develops, Ice and a Slice is available on Amazon for kindle enabled devices. Price: £1.94, Click here for further details. If you’re interested in learning more about the difference between short stories and novels please check out my full length book on the subject, Moving On – Short Story to Novel – a Step by Step Guide, Price £1.97. Click here for further details. (Also available in paperback). Click here for details. I thought that you might be interested to read the inspiration behind my short story 'Nature Watch' that appears in this week's People's Friend. It was the mid nineties and having recently divorced, I needed to go back to work. The only problem was that having been out of teaching for several years, bringing up my children, I didn't feel confident returning to the classroom (although I did several years later and taught for another ten years). I was looking for something part time that would use my teaching skills - but what? When I saw the advert in the local paper for an education officer at Woods Mill Nature Reserve in Henfield, I was immediately interested - the only problem was, I had absolutely no experience in anything remotely connected to wildlife. Did that deter me? Not at all. I blagged my way through the interview fooling nobody but the interviewers bent over backwards to help me out. I couldn't believe how kind they were and was desperate to work for such a lovely organisation but didn't think I had a hope. I knew that after the interview things could only get better but I reckoned without the fact that I had packed my daughter's (then aged 8) wellies instead of my own for the guided walk around the reserve. So what did I do? Did I tell them? Did I ask to borrow some wellies in my size? Oh no... I forced the little wellies over my feet and tottered a few feet before collapsing in a heap of giggles. 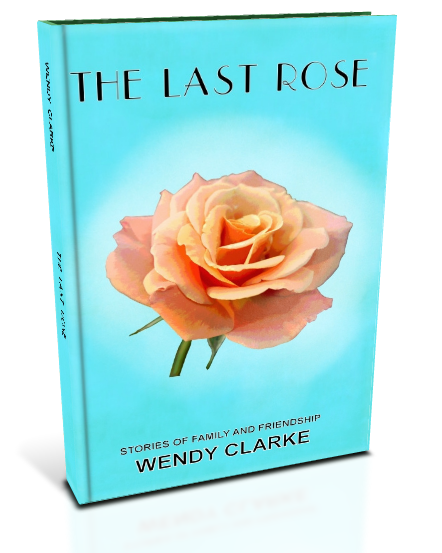 If you read my story you will recognise the real life in amongst the fiction. Did I get the job? Yes, against all odds I did (they said they had to employ someone who had given them such a laugh) and it was one of the best jobs I've ever had. If you live anywhere near, do give this little nature reserve a visit - it's a gem. Two pieces of news before I go - another sale to the lovely People's Friend this week and on Friday I am welcoming, as a guest to my blog, someone who you will all know - Della Galton. We would both love you to join us join us here to read about Della's journey from short story to novel. Here are the promised pictures of my birthday treat - dancing to the Berkley Square Society Band at the Waldorf Hotel in London. We weren't even sure if we were going to make it as when we got to the station we heard there had been 'an incident' on the line and that our train had been cancelled. Undeterred, we jumped into our car and drove there instead, arriving only ten minutes late. These are some of the cakes we ate - yum! The tea dance was held in the beautiful Palm Court Restaurant. We were surprised when we were told that Channel 4 were going to be filming the tea dance as part of a documentary. We were asked if we would be happy to be interviewed by Dawn Porter and stupidly agreed. This meant that I spent the rest of the dance worrying about it. In the end we weren't - which was a huge relief! Oh well, another year older! No, this isn't me celebrating with my friends - it was me on my sixth birthday. I'm the one at the front with my hands up. The photo brings back so many memories - I can name everybody and I loved my party dress so much. I wonder what they are all doing now? I suppose if I was a Facebook fan, I'd have the answer to that question but as I'm not, I shall probably never know. So what shall I be doing on my special day? I have invited some girlfriends round for lunch and a gossip (always a good thing). I'm hoping they won't mind if I don't make anything - all my friends are fantastic cooks and although I like cooking family meals, I stress about cooking for company as I can't compete. I thought a selection of breads and cheeses and a cold meat platter followed by a cheating M&S desert and fresh berries. How does that sound? I shall have to wait until Sunday for my birthday treat, though. My husband and I are off to the Waldorf Hotel in London for a tea dance in their Palm Court restaurant. I am SO excited! My two biggest pleasures, eating and dancing, all in one afternoon. We shall be dancing to The Berkley Square Band (yes, the same ones we danced to on Valentine's night) and I shall take some photos to show you all. My story 'It takes Two to Tango' is in this month's Take a Break Fiction Feast. I expect you won't be surprised that it is another story featuring dancing - after all, as you probably know, it is my main hobby. They also bought another story today so I like them very much! This month's story is about a married woman who goes away on a dance weekend with a rather flighty friend. I won't spoil it be telling you what happens but I will tell you how I got the inspiration. For many years, since I started dancing in my mid thirties, I have been on dance weekends - both jive and salsa. These are great fun and I've been both with groups of friends and in more recent years, with my husband (as he is a dancer as well). The weekends provide the opportunity to learn to dance better, eat well and socialise and of course they provide a backdrop for intrigue for those who are looking for it! In my book, there could be no better setting for a story. For some reason (probably because the dance is more sensuous than jive) I decided to send my heroine on an Argentine tango weekend - which was strange as, at the time of writing, it was one of the few dances I hadn't learnt. This meant all the dance moves had to be researched and I was thankful, having just completed several months of Argentine Tango lessons, that when I read the story today, I actually recognised the steps I had written about! In the meantime, here is a clip of some professionals performing this amazing dance. In two weeks time we are off to Hayling Island for a jive weekend with some friends. I've bought a new dress but my husband won't find the receipt... it's under the potato peelings! Oh well, you know what they say... 'If the cap fits'! A big thank you to Marianne Wheelaghan for inviting me to be a guest post on her writing blog. Marianne is the author of 'The Blue Suitcase' and 'Food of Ghosts' and she also runs a brilliant online writing school Writing Classes which produces talented, creative, dedicated, successful... oh, ok it produced me! If you go onto their site, there is even a piece of my early writing in the story corner, aaah. This piece is certainly not one I shall be submitting to The People's Friend! If you want to know a little more about me and my writing, Marianne's blog is the place to go.